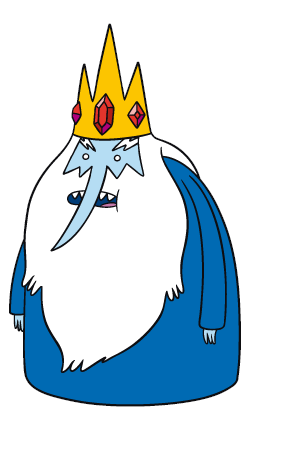 The ice king tends to be the wuss type when when he knows he cant win a fight a battle he pleads for pity probably 9 times out of 10. (Below is a clip showing the wuss side of him). Ice kings backstory is probably on of the more interesting ones.What most people dont realise he was actually a human, in his life time before he got magic powers, he was a scientist named simon. ( Watch Clip Below). The Ice Kings behaviour is very moody and cranky. This happens because of his crow that he brought and it changed all his life in a short period of time. His life changed dramatically and so did his mood, he went from a happy person to someone who has short temper and mood swings. This is what makes his character unique. ( skip to 1 min 10 secs).